Australian rail passengers review city trains in Adelaide, Brisbane, Melbourne, Sydney and Perth on their service reliability, scheduling, comfort, safety, cleanliness, ticketing, cost & overall satisfaction. Maintaining its 100% record, TransPerth has been rated the best Australian metropolitan rail network for the sixth year in a row. Whether you take the train to school, work, or just for leisure, Australians expect their metropolitan rail networks to operate reliably and efficiently. But we don’t live in a perfect world and very few rail networks across the globe could come even close to claiming a perfect service. 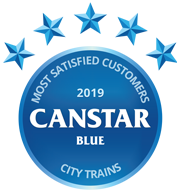 Australia is no different, but Canstar Blue’s passenger ratings over the years have highlighted a gulf in satisfaction between those who use the country’s five major metropolitan train networks. 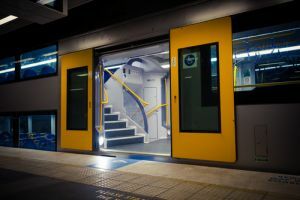 Nearly two and a half years on from our last review, we have once again taken a snapshot of Australia’s satisfaction – or dissatisfaction – with their city trains. This is what we found. It is the sixth year in succession that Perth’s rail service has been rated highest overall. No other network has ever finished higher in Canstar Blue’s research. However, some other networks have performed better in specific areas, which we’ll come to shortly. 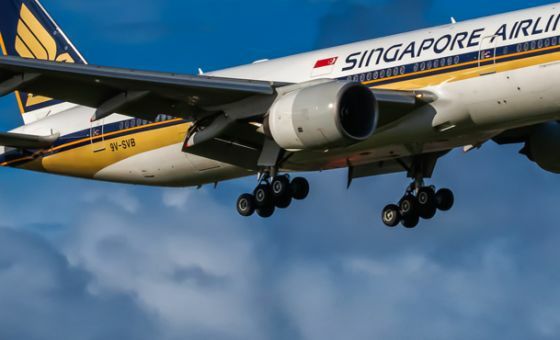 Of course, all factors are important in their own way, and the importance of these variables is likely to be impacted by the type of rail passenger (e.g. daily commuter vs. weekend traveller). Across the country, 39% of survey respondents said they often experience delays when catching the train. Regular delays were reported by 48% of Metro Trains (Melbourne) passengers, followed by Sydney Trains (45%), Adelaide Metro (33%), Queensland Rail (31%) and TransPerth (16%). Just 47% of respondents nationwide said punctuality is a strength of their train network. Those who use Metro Trains in Melbourne were least likely to describe punctuality as a strength (40%), followed closely by Sydney Trains (41%), Adelaide Metro and Queensland Rail (56%) and TransPerth (72%). 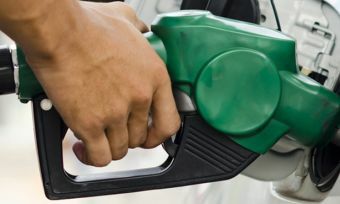 One in four survey respondents nationwide (25%) said they catch the train to work every day. Those who use Sydney Trains were most likely to do so (29%), followed by Metro Trains in Melbourne (27%), Adelaide Metro (25%), Queensland Rail (18%) and TransPerth (16%). Across the country, fewer than half of survey respondents (47%) said that good scheduling/timetable is a strength of their rail network. Sydney Trains passengers were least likely to declare scheduling a strength (41%), followed by Metro Trains in Melbourne (46%), Adelaide Metro (48%), Queensland Rail (52%) and TransPerth (64%). The cost of travel is naturally a bugbear for many rail passengers, but some more than others. Passengers of Metro Trains (Melbourne) were least likely to describe ticket prices as a strength of their network (36%), followed by Sydney Trains (40%), Queensland Rail (41%), TransPerth (45%) and Adelaide Metro (51%). Almost one in five Adelaide Metro passengers (18%) said they’ve been fined for travelling without having a ticket/correct ticket. That number dropped to 15% for Metro Trains (Melbourne), 12% for Sydney Trains, 9% for Queensland Rail and 7% for TransPerth. 58% of survey respondents nationwide said they often experience overcrowding on trains. Those who use Metro Trains in Melbourne were most likely to report overcrowding (69%), ahead of Sydney Trains (62%), Adelaide Metro (47%), Queensland Rail (44%) and TransPerth (43%). The survey found that a majority of passengers generally feel safe catching the train during the day (86%), but this changes significantly when it comes to travelling at night (49%). Queensland Rail passengers (89%) were most likely to report feeling safe during the day, followed by TransPerth (88%), Adelaide Metro and Sydney Trains (85%) and Metro Trains in Melbourne (84%). When it comes to travelling on the train at night, those who use Adelaide Metro were most likely to feel safe (56%), ahead of Queensland Rail (52%), Sydney Trains (51%), Metro Trains in Melbourne (45%) and then TransPerth (42%). 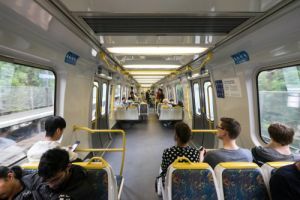 Passengers of Metro Trains in Melbourne were most likely to say they often witness anti-social behaviour on the trains (51%), followed by Sydney Trains customers (48%) and Adelaide Metro, Queensland Rail and TransPerth (47%). Metro Trains (Melbourne) passengers – along with those who use Adelaide Metro – were also most likely to say that they would like to see extra security staff on the trains (75%), ahead of Sydney Trains (73%), TransPerth (71%) and Queensland Rail (68%). Just 39% of survey respondents across the country described the cleanliness of their trains and stations as a strength of their network. This number dropped to 28% of those who use Metro Trains (Melbourne), followed by Sydney Trains (36%), Adelaide Metro (42%), Queensland Rail (49%) and TransPerth (57%). There were some notable differences between train networks, however. Queensland Rail passengers get most annoyed by loud personal conversations and children being loud or misbehaving. Adelaide Metro passengers are least bothered by loud personal conversations and people playing music loudly. Sydney Trains passengers are most likely to get annoyed by people pushing past them. Metro Trains (Melbourne) passengers are the most likely to complain about people taking up too much space and people standing too close. TransPerth passengers are the most likely to declare rude or aggressive people a problem. This year’s city train ratings are based on the responses of 4,423 people who have caught a metropolitan train in the last six months. Survey outcomes are based on the responses of 4,457 people. This includes 1,509 people who have used Sydney Trains, 1,362 who have used Metro Trains in Melbourne, 692 who have used Queensland Rail, 548 who have used TransPerth and 273 who have used Adelaide Metro. Canstar Blue surveyed 9,000 Australian adults across a range of categories to measure and track customer satisfaction, via ISO 26362 accredited research panels managed by Qualtrics. 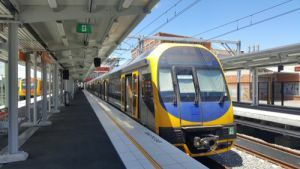 The outcomes reported are the results from customers within the survey group who have used a metropolitan train service in Australia in the last six months – in this case, 4,423 people. 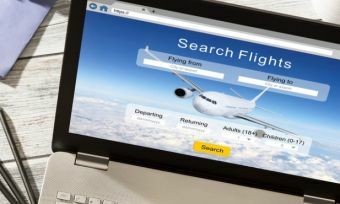 Travel agent Flight Centre has been fined more than $12 million for attempting to induce three international airlines into a price-fixing arrangement. 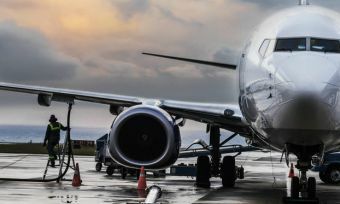 Jetstar and Virgin Australia have been fined for ‘drip pricing’ practices that saw customers attracted to cheap online deals before being hit by extra charges. Travelling by train can be a nightmare. We asked thousands of commuters across Australia to tell us about their pet peeves.